We love live music at the Tree House, and we have a couple of fabulous gigs this week and next. 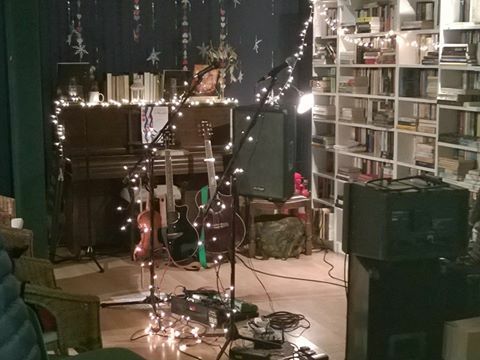 There is a dynamic to live music that you just can’t get from recordings or television, and it’s especially magical in an intimate setting like the bookshop. If you haven’t been to one of our gigs yet, why not try one of these? This Friday, 6 May, we have Sarah McQuaid. Sarah is a well-established singer/songwriter with four recorded albums and many international tours to her name. She has a rich, beautiful voice – something like Carole King blended with Karen Carpenter but unique to her, and with folkier overtones. Listen for yourself and see what you think. On Friday 13 May, we have Gill Sandell with two musical friends. Gill is best known as one of the Red Clay Halo who played with Emily Barker (who wrote what became the British Wallander theme song, among much else) for a number of years; they are all now doing their own things, but Gill will be joined by fellow Halo Anna Jenks on violin, and Ted Barnes – a slightly different line-up from the one advertised on the poster, if you’ve seen that. 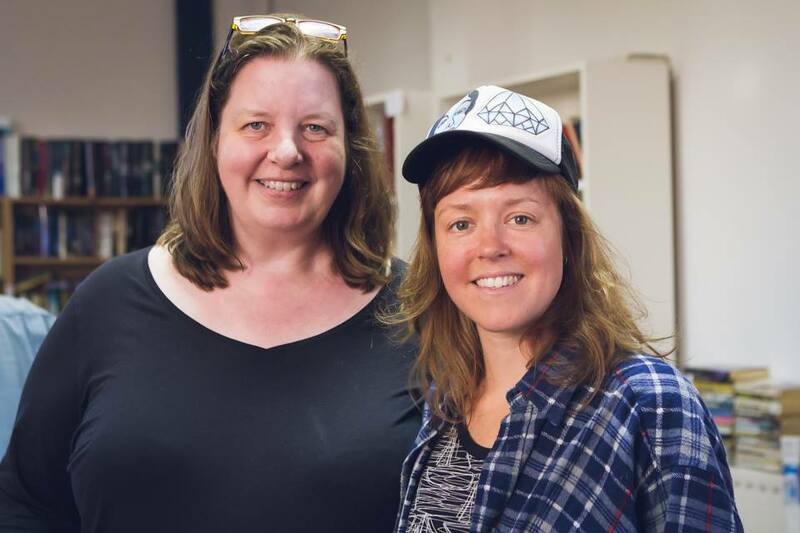 Emily Barker and the Red Clay Halo are one of my absolute favourite bands of recent times, and I was so thrilled when Emily called in to record a Big Comfy Session in the old shop – and thrilled now to have two more Halos playing for us. Maybe we’ll get Jo Silverston, the fourth member, one day! Gill is a multi-instrumentalist as well as a singer, playing flute, accordion, piano and guitar. Here she is playing solo. Tickets are £11 for Sarah McQuaid and £10 for Gill Sandell, from the bookshop or online. These are two great opportunities to hear top quality live music in Kenilworth – would be a shame to miss out! Our gigs also make lovely gifts for music-loving friends, and are a great way to introduce people to the Tree House. The Big Comfy Bookshop opens at the new Fargo Village development in Coventry next weekend (27 September), so that session really was the last to be filmed at the Tree House – I still feel so happy and privileged and honoured that we were able to host these lovely people. There will be lots more fabulous music at the Big Comfy Bookshop, as well as lots of books, cake, coffee and much more, and I wish Michael all the very best in his own exciting new venture. The Tree House is doing so well these days, and I hope the Big Comfy Bookshop will be equally successful – it’s so great that new bookshops are still opening and disproving the media gloom about the apparent demise of books and bookshops. People still love books! And bookshops are great places for music, films and all sorts of community events.